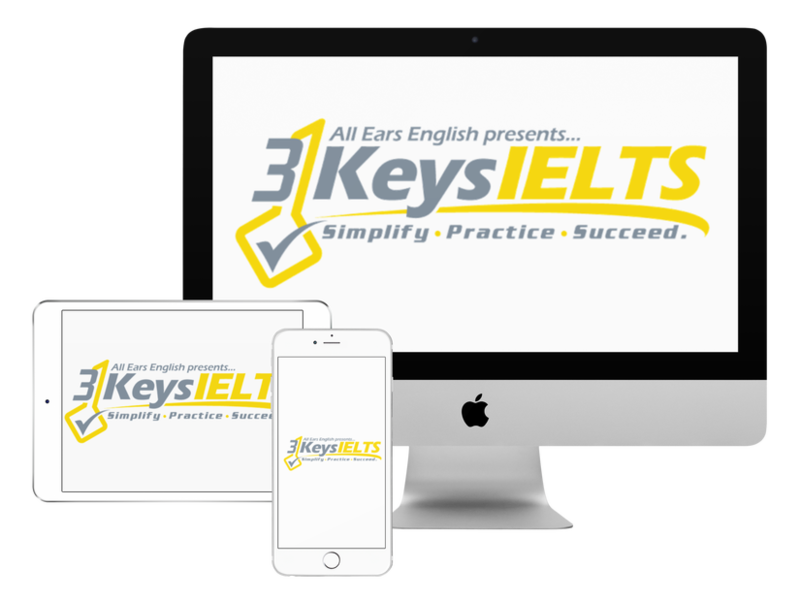 Today find out how a dodgy IELTS You Tube teacher decreased one student’s IELTS Listening score and find out how the student made the correction and got on the right path with 3 Keys IELTS. We think this strategy is ridiculous. This strategy will not work. The motto of our course and our materials is: Simply. Practice. Succeed. We believe that simple is best. This teacher did not simplify the Listening test for the student. This example is proof that we cannot trust all online IELTS teachers. Just because the person has a strategy to teach you does not mean that the strategy will work for you. Next the student made a good decision. He threw that strategy away and he joined our course. You should NEVER try to out-think IELTS. That is what this teacher’s strategy tried to encourage. Do what they say on the CD. They say, “listen to the introduction” so you need to listen to it. The introductions are important to open up your brain box and build context for what you are going to hear. In our course we give you all of the steps and practice exercises that you need to follow our strategy. Our strategies work and the proof is in our success stories like Cheryll and Nadya. If you find a teacher online who offers a strategy then send them an email and ask for some numbers before you follow that strategy. How many students have used these strategies and gotten a 7 or higher? How many success stories do they have? Don’t blindly trust something that you find online, especially if it’s free.